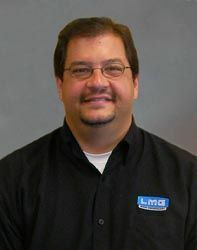 ORLANDO, FL--LMG recently hired Brian Applegate as general manager of systems integration to oversee the company's integration division. Applegate's role will include overall management of the integration team, developing new business, supervising client accounts, and positioning the division for future growth. Previous to LMG, Brian worked for Enterprise Solution Services for six years where he held the position of vice president, promoted from the director of technical services. Previous to that role, Brian was the director of information technology for Commons Medical Development. LMG's Systems Integration division provides design, consulting, installation, as well as product sales, of customized presentation technology -- including video, audio, control and teleconferencing equipment, working with clients on "SMART" classrooms, executive boardrooms, command/control centers, houses of worship, and specialty installations.